One of the standout characteristics of Open edX is its passionate and active community. Each year, that vibrant community of learning professionals, developers, and educators congregates for the annual Open edX conference to celebrate the platform, showcase contributions, and reveal some bleeding edge innovations. This year’s Open edX Conference 2018 was held in Montreal, Canada, where thought leaders and attendees from all corners of the world converged. The Appsembler team was proud to be a Keystone sponsor again this year, and to be an active participant in many talks and discussions. Previously, we shared the 14 reasons why we’re so excited about the conference, and this year’s event surpassed our expectations. All across the board, we were floored by the strength and vibrance of the Open edX community. The shared vision and collective desire of the community to build and innovate on the platform are a key driving force behind Open edX’s future potential. At the conference, the edX team announced some architectural changes ahead accompanied by a move from modulestore to blockstore that will make the process of innovating and contributing to the platform easier. The numbers are in, folks. There are more than 35 million learners on the Open edX platform. The platform and its reach are growing, and this isn’t slowing down anytime soon. The annual conference is an exciting opportunity to unveil upcoming developments and innovations to the Open edX platform. The Appsembler team was thrilled to unveil Figures, a lightweight reporting tool for Open edX designed to provide rich insights into how your courses and learners are performing. Also, J’aime Ohm of the Appsembler team led a workshop where she walked attendees through building and releasing a mobile application to learners. 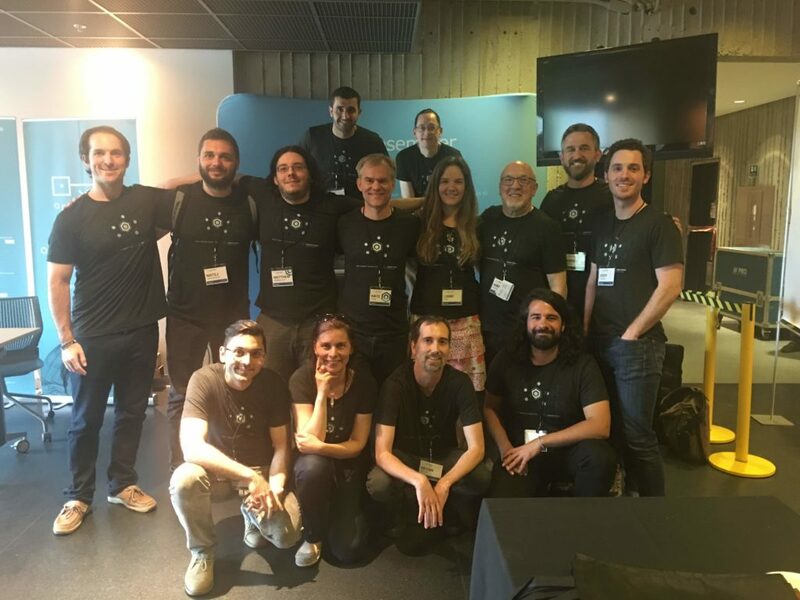 Our team members can be found all across the world (or they are digital nomads), in locations ranging from Uruguay, Equador, Croatia, Japan, Jordan, the UK, the USA, and more. 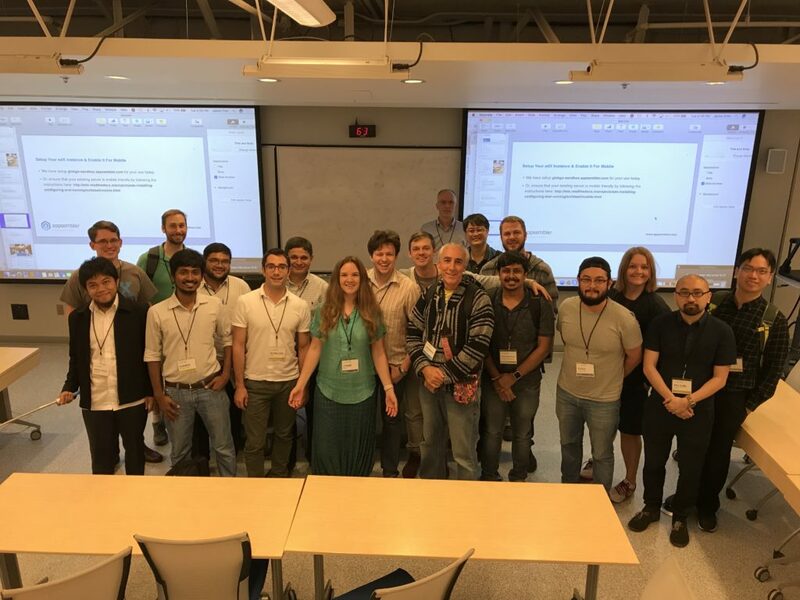 The Open edX conference was an opportune time for some of our team members to get together and for some, to meet each other for the first time in person! One of the reasons why we love what we do is because we get to do our best work with some of the most talented human beings across the planet. Team members representing Appsembler’s Customer Success and Engineering teams! Want to catch up on the exciting talks and presentations from the conference? You can watch the live video streams by clicking here. And that’s a wrap! We hope to see you at next year’s conference in San Diego. Have questions about Open edX or Appsembler? Don’t hesitate to get in touch!